Tessie has been with the love of her life for the last 16 years. A school teacher by day—By passion she is the pastor over the church that her uncle passed down to her, and the mother of two beautiful girls. Her husband Miles hasn't accepted the same calling that his wife has in ministry. Miles is a correctional officer over the adolescent. Miles finds himself being haunted by some of his past sins. How will it all come out and how will Tessie handle it? Will she go to God and lean on Him to take care of her husband or will her fleshly body make her do something that she will regret? Structurally this book is a mess. Between the grammatical errors, and the multiple pov's, every single time a character entered the story, it was a doozy. The author went straight on dramatic in this read and while it was thoroughly entertaining, in an, "I'm glad this mess isn't happening to me," kind of way. It was really over the top and not very realistic. Granted I don't turn to fiction for realism, Sis, let everything happen to this character. She threw the pots, the pans--hell, even the stove at this character. She only had the grace of God to get her through--and that was slipping a bit. Tessie was a pastor, with a near perfect love. She had a doting husband with whom she made love to regularly, and two beautiful daughters walking the straight and narrow. Miles, however, was a different story--without giving anything away--he was the biggest of messes. He was King Messy. Lordt, I don't even know what is wrong with these men. Keep them in prayer. Anyway, the story follows their semi-perfect life, and the woes, and I MEAN WOES, that they go through. I'm not too impressed with the writing or the structure or set up of the novel but I was entertained enough to get through it with a few head shakes and laughs of disbelief. 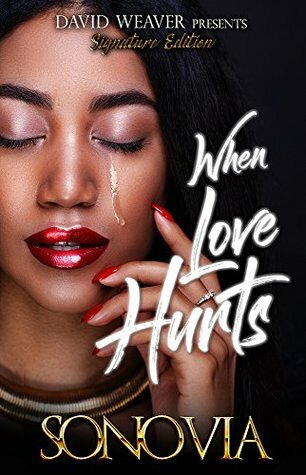 If you are a lover of drama that rivals, Love and Hip Hop--this is the perfect read for you. Just know, you're only going to get 75 percent worth of book. Yup, Sinovia you tried it. You owe me some change, sis. The last 25 percent of the book is a preview to another book. You know you're wrong for that. Give me my change. Oh, and the ending is a messy cliffhanger. I don't know if there will be more books for these characters--but I'm sure there will be, without my looking--and Mona Scott Young, will want the rights to the drama. Good grief, this sounds like a train wreck. Kudos to you for finishing it!